The YMCA of the Mid-Peninsula was developing the 30,500 sq. ft. Phase II expansion of their existing 56,000 sq. 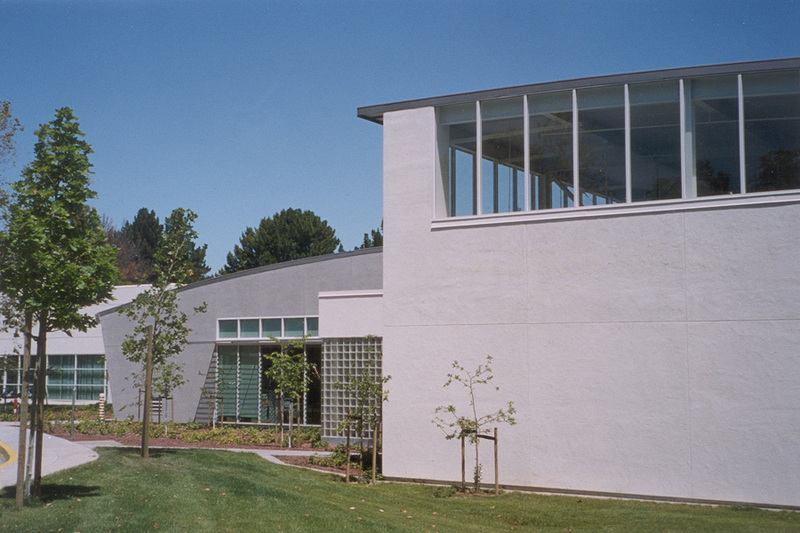 ft. facility at 2400 Grant Road, Mountain View, California. Carrasco & Associates came up with a design solution that takes into consideration the existing building's form and materials, the natural setting adjacent to Cuesta Park, and the appearance from Grant Road, as viewed by neighboring homes. The expansion includes a full-size basketball court/gymnasium, weight room, Teen Center, multiuse rooms, dance/aerobics/yoga room, and fitness testing offices. The design concept is one of careful massing of the large fitness rooms and larger gymnasium with separations of glass corridors and lobbies. A playful form is utilized for the Teen Center. 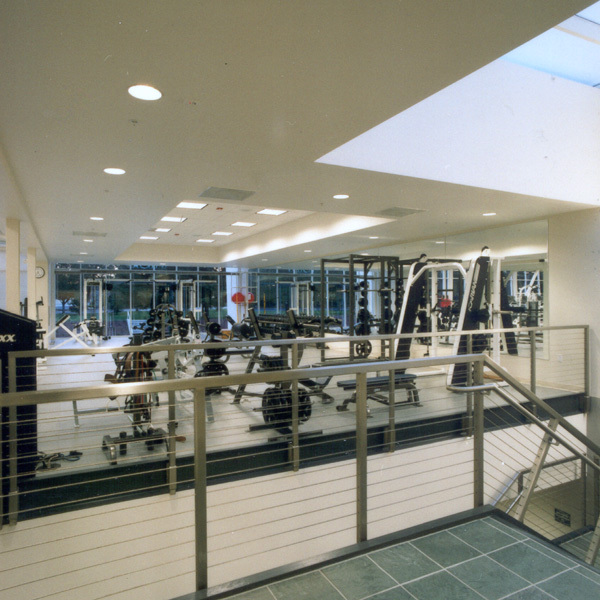 Clerestory windows bring natural light into the gym space and create interest. Materials for the addition are plaster and concrete walls and metal curving roof panels. Window wall is clear anodized aluminum with clear glass. To minimize the visual effect of the large gymnasium volume, the floor level of the gym is set 12 feet below grade; thus, the highest point of its roof is less than 30 feet above existing ground level. 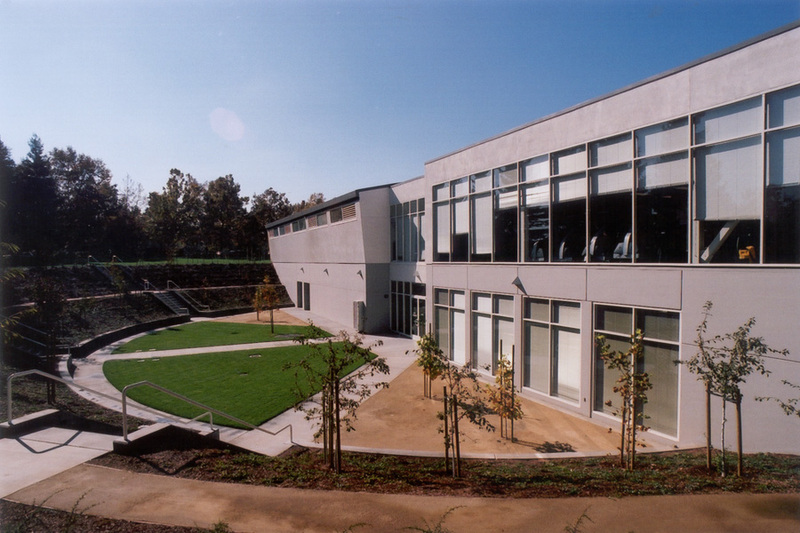 A major landscape feature, a sculpted amphitheater, creates the transition from existing grade to the basement level of the gymnasium facility. A lobby which serves the gym and aerobics room opens to this amphitheater for indoor-outdoor uses. Natural light can be brought into the basement spaces through a feeling of spaciousness, and allowing views out from the lower level to pleasant landscaping. From across the street, one cannot see into the amphitheater; thus, the building mass appears as a one-story building. Trees and vegetation consistent with existing landscaping at Cuesta Park will be used to screen the building from neighboring homes and from Grant Road.